What is the Samsung Gear Fit 2 exactly? A fitness tracker? A smartwatch? A lifestyle utility? Or a gimmick? Maybe it’s just none of them. And maybe it’s all of them. Let’s find out. First off, shout out to Samsung for the simple, yet catchy packaging. The Gear stands out, in its dedicated compartment, with a clean, simple, yet classy design. The box is fairly simple. 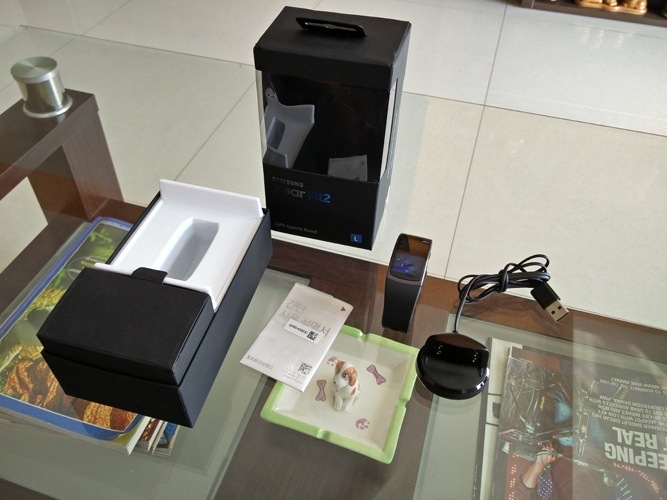 It has the specifications listed on the rear, and inside, it just comes with the magnetic charging dock and some manuals. Samsung has left all the wow factor to come from the Gear Fit2 itself. Our review unit is a Korean import, and hence, the spec sheet and manuals are in the Korean Language. All other features on the watch itself are multilingual, and even Indian languages like Hindi are available. The Gear Fit 2 takes a more smartwatch-y approach to its design than its predecessor. It looks like someone merged the good things from the Gear S2 and the previous Gear Fit, into the gorgeous thing the Fit 2 is. It features a 1.5 inch curved Super AMOLED display, sporting a resolution of 432×216. The colors are rich and vivid, the display was bright enough for outdoor usage and touch response was on point. Absolutely no complaints whatsoever, we think Samsung has nailed the display. It is also covered with Gorilla Glass 3, so you’re protected against those nasty bumps and manhandling. The strap has a nice dotted texture and is made out of a material called elastomer. It fits well, and the number of grooves should be enough for most people. Underneath the main body, lies the optical heart rate scanner, more on that later in the review. In addition to all of these, the Gear Fit 2 is IP68 certified, which means you can dunk it in 1.5 meters for up to 30 minutes. The build quality is pretty good, the screen is gorgeous, and its water resistant to boot. The Gear Fit 2 comes in two sizes, small (125-170 mm wrists) and large (155-210mm). For those who love a little more bling, you can also snag it in blue or pink, apart from the black color. Screen: 1.5” curved Super AMOLED at 216×432, Corning Gorilla Glass 3. Chipset: Dual Core Exynos Low Power Chipset. Battery: 200 mAh (typical usage 3-4 days). Sensors: Accelerometer, Barometer, Gyro, GPS, Heart Rate Sensor. Trackers: 24h Heart Rate, Activity Tracking, GPS and GLONASS Positioning, 15 built in exercise tracking modes, Remote connectivity over WiFi. Compatibility: Any Android Phone with 4.4 Kitkat and 1.5 GB RAM. 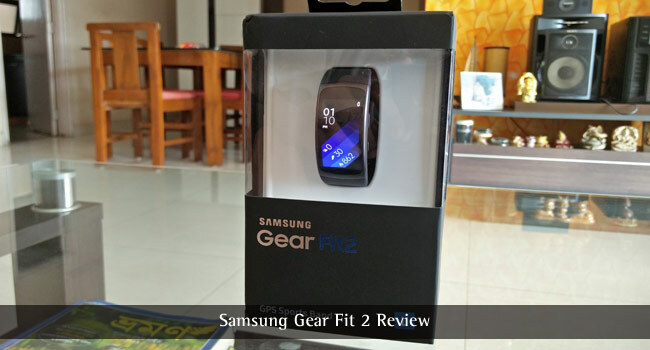 Coming down to the primary objective of the Gear Fit 2, its activity tracking capabilities. Samsung markets it as a GPS Sports Band, and like competition, the Gear Fit 2 is packed to the gills with features. It can auto track your workouts, steps, calories, several types of exercises, continuous heart rate measurements and even your sleep patterns. That’s right, no user intervention, no touching and tapping here and there required. Just strap it on, and let it do it’s job. The UI on the watch is nifty. It takes all of your fitness data, and merges them into an all day log, which you can sync to S-Health on your phone for a more detailed look. Our experience with activity tracking has been varied. On the plus side, step tracking is really really accurate. We have compared it with the data from a much cheaper Mi Band, and from the phone’s pedometer itself, and it is easy to see how much more accurate the Fit 2 is. Especially for moments like driving, other cheaper alternatives often mistake it for cycling, but the Fit 2 is smart enough to recognize it. Automatic Exercise tracking is impressive too, with it tracking our runs and walks very reliably. 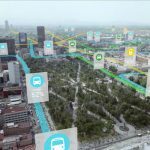 The Fit can also track your location, and neatly present your route map inside S-Health. 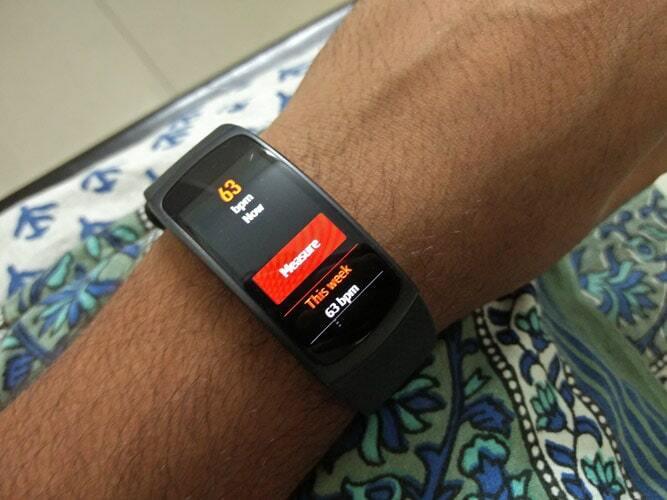 On a side note, the heart rate measurement is continuous when in exercise mode too. Coming to the Heart Rate Sensor, its kinda iffy. When sitting still, before or after workouts, it’s mostly accurate (within 2-5 bpm of a dedicated heart pressure monitor), but during workouts, or any movement, it sometimes varies as much as 15-20 bpm. Pretty sure I’d be dead if the Fit 2’s 146 bpm measurement while walking was accurate. Possibly Samsung will fix the measurement methods with updates. 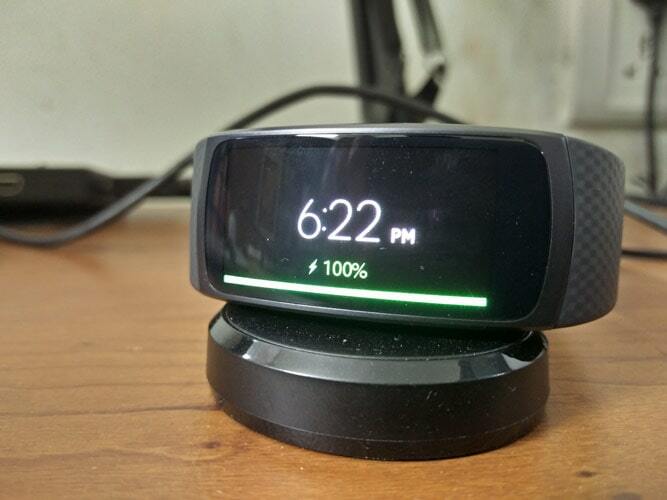 The Gear Fit 2 runs on Samsung’s homebaked Tizen OS. There is a nice collection of alternate watch faces, and an app store, which admittedly has very few apps than we would’ve liked. It’s definitely growing, but not fast enough. The basics are covered in the software, including all fitness related apps, notification mirroring, quick replies and much more. In addition, the 4GB internal storage also allows for a totally offline music player, which you can pair with some earbuds, and leave your phone at home.You can also find your gear from the phone, or vice versa, even when it’s out of range, via the remote WiFi connectivity. Overall, we didn’t find much to complain about the software, but definitely a lot to like about it. Definitely one of the strong points of the Gear. On average days, you can easily scrape by with only around 15-20% battery use, which means 4-5 days is an easy job for the Fit 2. If you do not use GPS or the exercising features much, you can turn on power saving mode, which should allow for even more battery life. However, there is an always on display feature, which I admit is a must for me. That does eat a lot more battery, but still, I managed to get around 3 days worth of battery life. The charger included is a magnetic charger, somewhat like Pogo Pins in older phones, and it charges relatively quickly. A 30 min charge can get you from 30% to a full charge. So, what do we say? To buy, not to buy? Samsung is targeting the Gear Fit 2 specifically at people, who want a powerhouse of a fitness tracker, yet still hold on to some smartwatch capabilities, like notification mirroring, music playback.It’s a no-brainer for fitness addicts, with great battery life and tracking capabilities. We would recommend it over competition like the Fitbit Charge. However, before buying it, do not expect it to be a full smartwatch. It is not that. 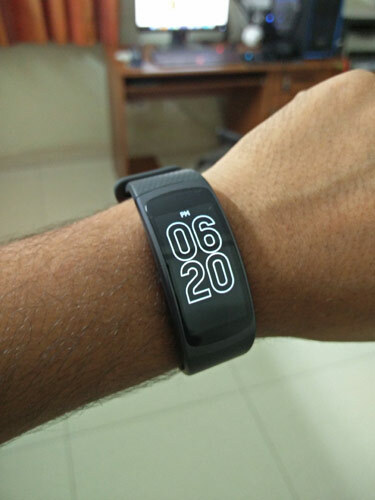 It is definitely not just a fitness tracker, and it’s not a smartwatch. The Fit 2 blends the best of both worlds to reach where it is right now. 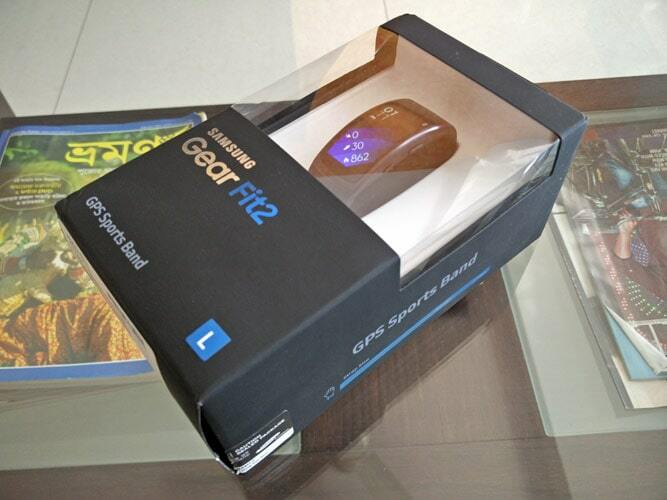 Samsung has priced the Gear Fit 2 at Rs 13,990 in India, and it is Flipkart Exclusive as of now. Internationally, it is available for $179 via multiple channels. The pricing is competitive with other similar products, and it manages to deliver a lot of bang for the buck. Overall Score: 8.5 / 10. Looks like price is really competitive. A real all in one. Probably the best smart watch. Above all I like this gear for fitness record. Samsung has the best concept and unique too.